Melting faster than the ice in your drink? Here are the best pools in town for cooling off after work and for weekend fun this summer and beyond. The Adelphi Hotel’s stylish cantilevered, glass-bottomed pool gives swimmers a glimpse of Flinders Lane far below. In summer it’s open to the public for a $35 fee which includes towel hire and all-day access. For eats, order through the hotel’s signature restaurant, Om Nom Kitchen. 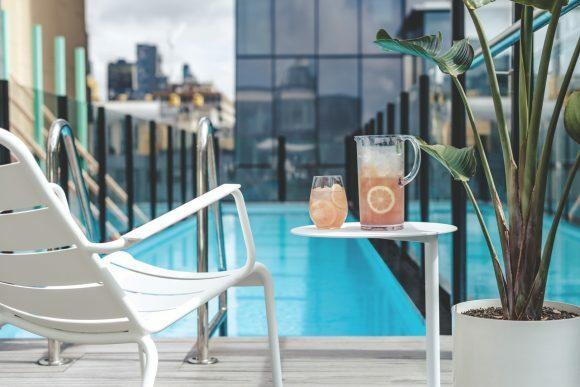 Hiding up on the Melbourne Central rooftop, the new Reunion Island Pool Club offers palms, plunge pools, wellbeing classes and poolside wining and dining. Ten temperature-controlled plunge pools can be booked for small groups, while burgers and beverages are available for hungry swimmers. 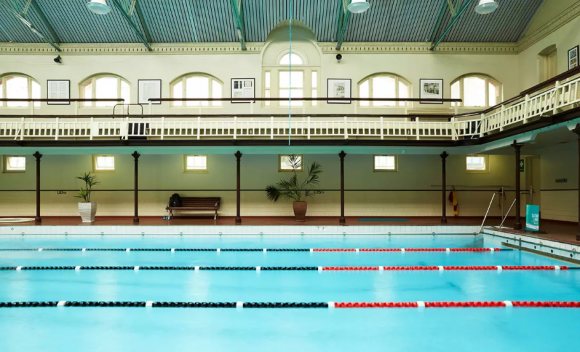 The handsome heritage Melbourne City Baths have been keeping folks cool – and fit – for more than a century. City workers take note: it’s open in the evenings on weekdays, and the 30-metre indoor pool is the largest in the CBD. Swim laps or just splish-splash with friends and family, then refuel at Poolhouse Coffee. 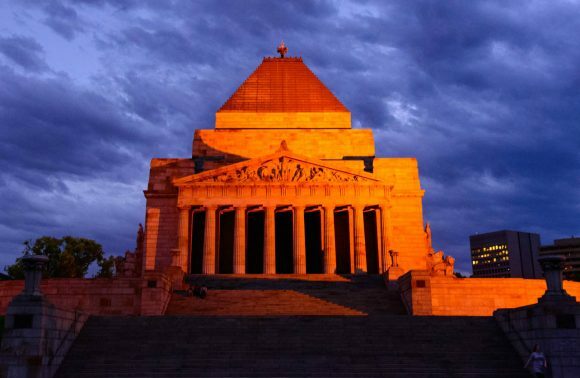 Fancy something even more rewarding? Try cocktails on the verandah at nearby Loch & Key. 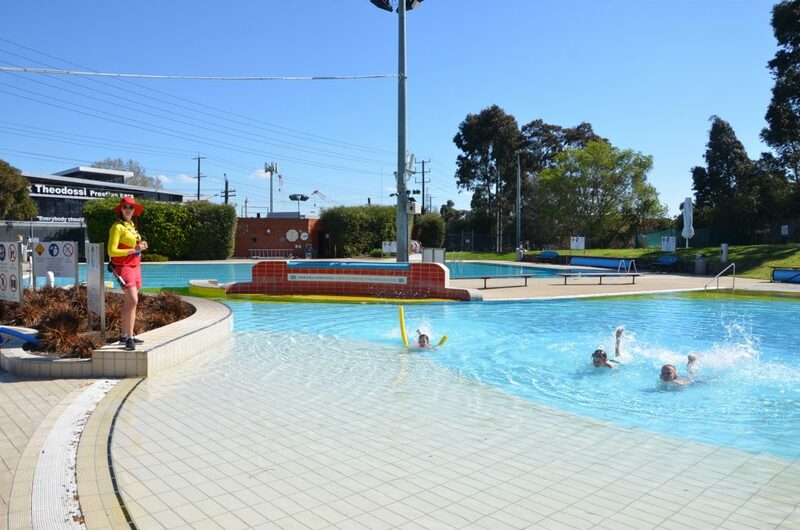 Dive into Carlton Baths’ outdoor pool, which is gently heated so there’s no fear of that cold-water shock on hot days. Got kids? Little ones can play in the toddler pools, while tweens and teens will be all over the Giant Inflatable on Sundays and most afternoons from mid-January. Sundays at the Baths hosts live music and other activities to keep all ages entertained. If you’re in the Kensington hood, there’s a pool for you too. Kensington Community Recreation Centre has three of ‘em: a 25-metre indoor lap pool, toddler pool and learn-to-swim pool. 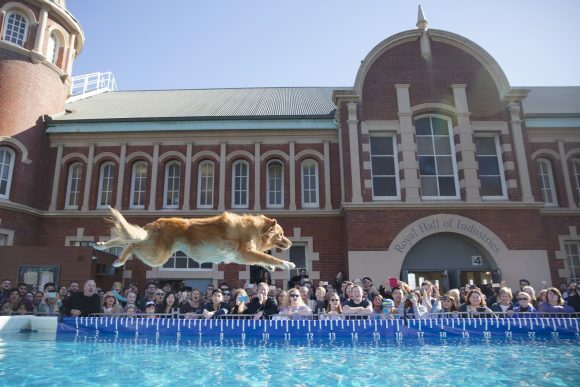 North Melbourne Rec Centre is a great place to go when the weather’s hot. 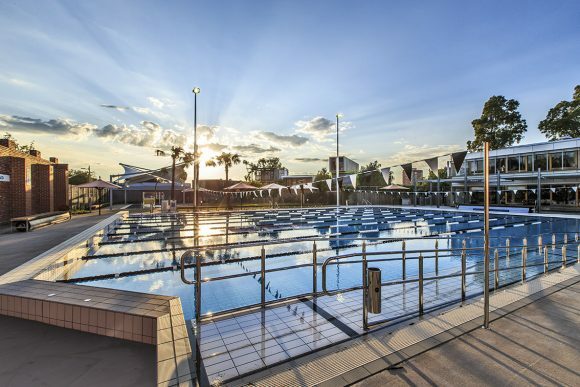 There’s an eight-lane, 25-metre outdoor pool, plus pools just for kids. They will love January’s Inflatable Fridays, when a fun inflatable obstacle course suitable for children aged 10+ creates an instant pool party. It will also be staying on when school restarts, for After School By the Pool, Tuesday afternoons in February. 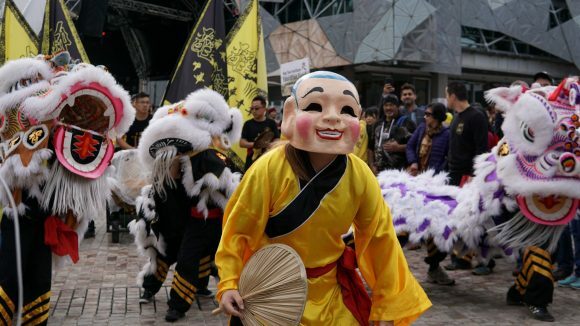 Make a date with the rest of the family for Sunday Sesh, a cruisy afternoon of live music every Sunday over summer.